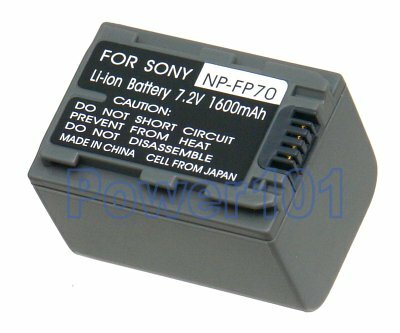 NP-FP70 is the mid-size batteriy in the Info-"P" series NP-FP50 NP-FP70 and NP-FP90. it is highly recommended over FP50 for all camcorder users. Most of the average recordings will run over 2 hours needing this battery. 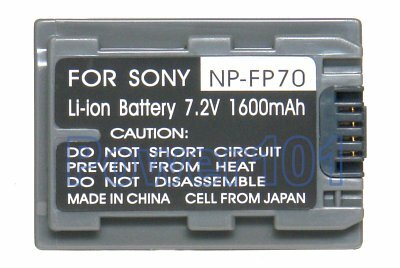 These batteries can be charged by any chargers intended for FP50 FP70 or FP90. Such as the chargers that may come with the camcorder. They can also be charged on camcorder.